Gawad Kalinga does not stop with building houses and other infrastructure. Hand-holding the poor in their journey out of poverty, dedicated volunteer caretaker teams are there to help organize and mentor the residents, as well as plan and implement various programs. GK also links the community to partners, mainstream government services and opportunities for livelihood, micro enterprise and employment. Eventually, the GK residents become empowered enough to take on leadership roles and run the programs themselves, taking a proactive role in planning for the future of their communities, their hometowns, and even the nation. You can help build a community by empowering the residents. GK residents are like diamonds in the rough whose great potential is simply waiting to be developed. Partners help bring sustainability for the community by sharing their expertise and time, training the residents in various skills and helping them produce world-class products and services that do not leave the poor behind. Nurture and develop the young through values-based activities: sports, visual arts, performing arts, and educational support. Gawad Kalinga is there to guide the poor throughout the many stages of their journey out of poverty, but at the core of community empowerment is values formation. Together with leadership sessions, the conduct of regular community values formation sessions helps transform the poor into organized and self-propelled communities driven by universal values of integrity, stewardship, servanthood, solidarity and "padugo" (bleeding for the cause). 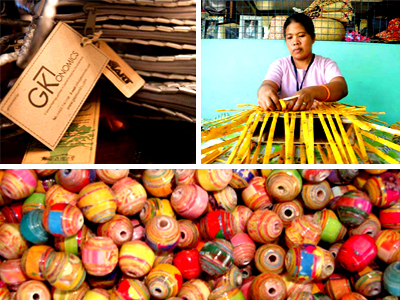 Gawad Kalinga is now raising blue and green collared workers from among the communities we partner with. Values-based interventions are important in restoring the dignity of our blue-collared workers and empowering them to be productive citizens of this nation. 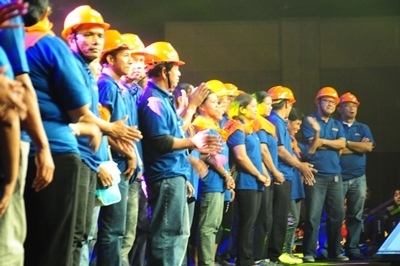 Gawad Kalinga Accredited Workers Association (GAWA) aims to organize skilled and non-skilled workers – from construction workers and computer technicians to drivers to linesmen – and prepare them for opportunities by building their character and skills. Click HERE to learn more.